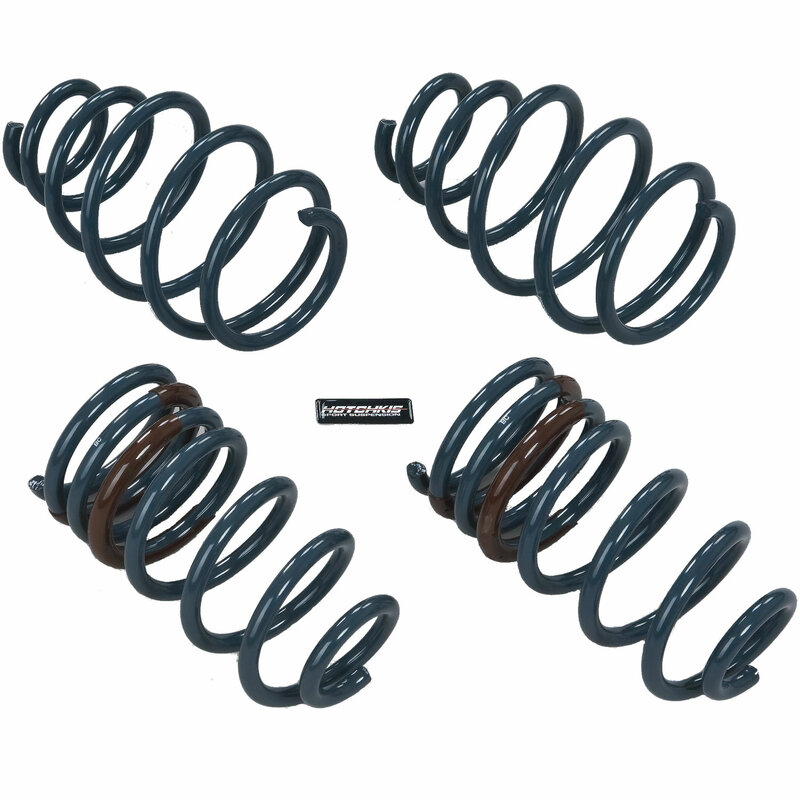 Hotchkis Sport Suspension 19110 2010-2011 Camaro Sport Coil Springs. Hotchkis Sport Coil Springs for the 2010-2011 Camaro offer a sleek lowered stance dramatically improved handling and superior driver control thanks to a lower center of gravity. Our engineers poured over computer modeling and track testing data to create the ultimate new Camaro spring that improves handling while offering a sporty yet comfortable ride. Hotchkis Performance Springs were developed as a complete front and rear balanced system giving the Camaro an aggressive stance and Corvette-style handling especially when combined with Hotchkis Sport Sway Bars. Precision wound in the USA from the highest quality high tensile steel they are finished in Hotchkis' durable gloss powder coat. Features: 1 in. Lowered Stance Higher Performance Rates Front 210lbs/in Rear 440 lbs/in Cold wound high tensile steel for strength Durable powder coat finish.